The Mikoyan-Gurevich MiG-25 (Russian: Микоян и Гуревич МиГ-25) (NATO reporting name: Foxbat) is a supersonic interceptor and reconnaissance aircraft that was among the fastest military aircraft to enter service. It was designed by the Soviet Union's Mikoyan-Gurevich bureau. The first prototype flew in 1964, and the aircraft entered into service in 1970. It has a top speed of Mach 2.83 (as high as Mach 3.2, but at risk of significant damage to the engines), and features a powerful radar and four air-to-air missiles. When first seen in reconnaissance photography, the large wing planform suggested an enormous and highly maneuverable fighter. This was during a period of time when U.S. design theories were also evolving towards higher maneuverability due to combat performance in the Vietnam War. The appearance of the MiG-25 sparked off serious concern in the West, and prompted dramatic increases in performance for the McDonnell Douglas F-15 Eagle in late 1960s. 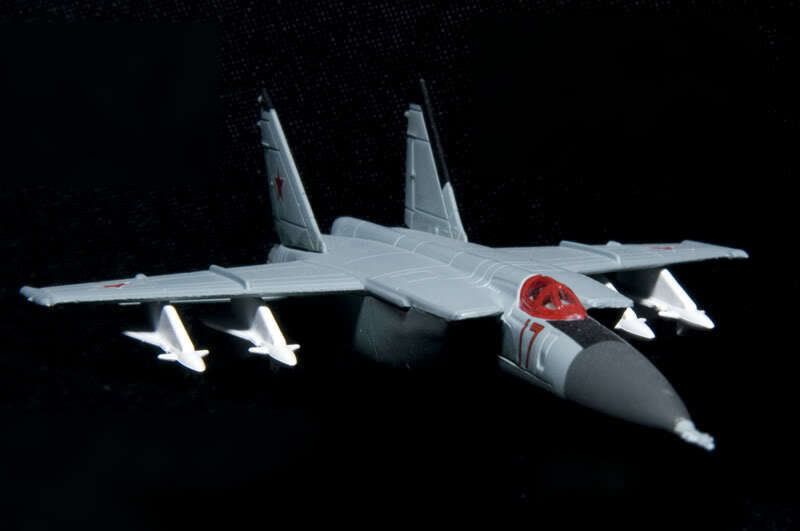 The capabilities of the MiG-25 were better understood in 1976 when Soviet pilot Viktor Belenko defected in a MiG-25 to the United States via Japan. It turned out that the weight of the aircraft necessitated large wings. Production of the MiG-25 series ended in 1984 after completion of 1,190 aircraft. 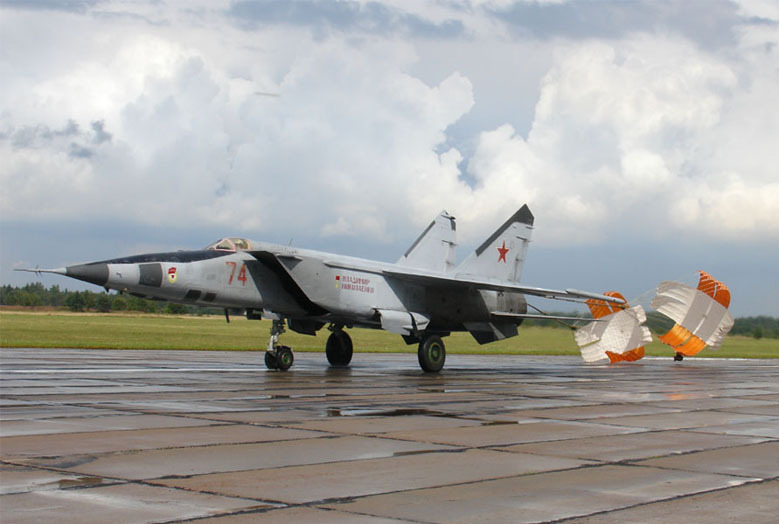 A symbol of the Cold War, the MiG-25 flew with Soviet allies and former Soviet republics, remaining in limited service in Russia and several other nations. It is the second fastest and second highest-flying military aircraft ever fielded after the SR-71 reconnaissance aircraft. The unarmed 'B' version had greater impact than the interceptor when theUSSRsent two MiG-25R, and two MiG-25RB toEgyptin March 1971 and stayed until July 1972. They were operated by the Soviet 63rd Independent Air Detachment (Det 63) set up specially for this mission. Det 63 flew over Israeli held territory in Sinai on reconnaissance missions roughly 20 times. The flights were in pairs at maximum speed and high altitude (between 17,000–23,000 m). On 6 November 1971, an Egyptian MiG-25 flying at Mach 2.5 was met by Israeli F-4Es and fired upon unsuccessfully. A MiG-25 was tracked flying over Sinai at Mach 3.2 during this period. 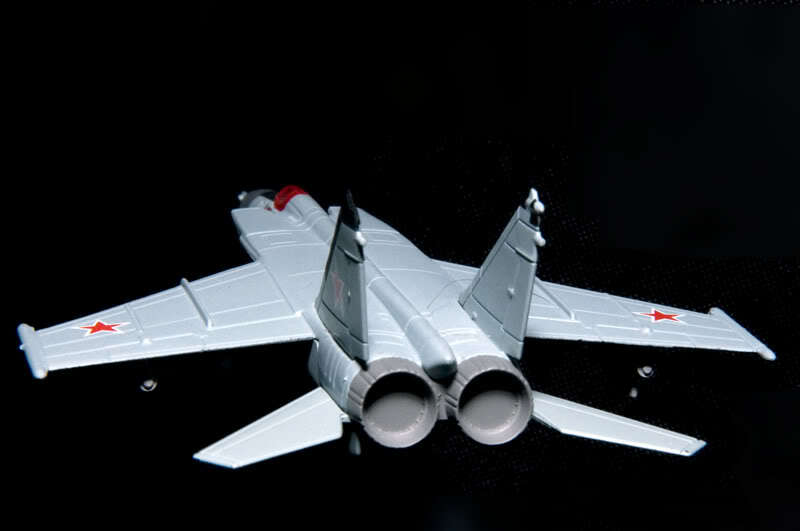 The MiG-25 engines went into overspeed, which led to their later destruction. Unit Det 63 was sent back home in 1972, though reconnaissance Foxbats were sent back to Egypt in 19–20 October 1973 during the Yom Kippur War. Unit Det 154 remained there until late 1974. On 13 February 1981, the Israeli Air Force sent two RF-4Es over Lebanon as decoys for Syrian MiG-25 interceptors. 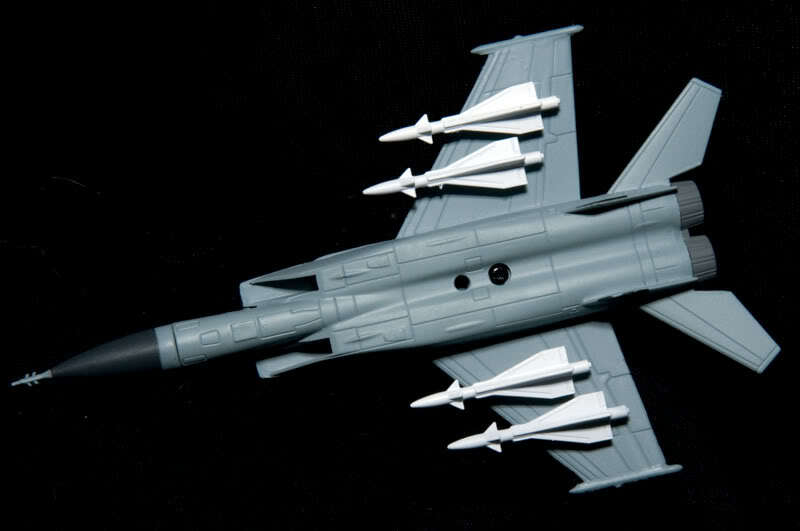 As the MiGs scrambled, the RF-4Es turned back delivering chaff and using ECM pods. Two IDF/AF F-15As were waiting for the MiGs and shot one of them down with AIM-7F missiles. The other MiG was able to escape. In a similar engagement, on 29 July 1981, a Syrian MiG-25 was again downed by an Israeli F-15A, after which a second MiG-25 launched its R-40 missiles at the F-15 and its wingman, but they missed. However, other sources say the missiles hit and downed one of the F-15s. Finally, on 31 August 1983, a third Syrian MiG-25 was damaged by an Israeli Hawk SAM and then destroyed by an F-15. During the 1970s, the Soviet air force conducted reconnaissance overflights across Iran using its MiG-25RBSh aircraft in response to joint US-Iran recon operations. The MiG-25 was in service with the Iraqi Air Force during the Iran–Iraq War, but its success against Iranian fighters is largely unknown. 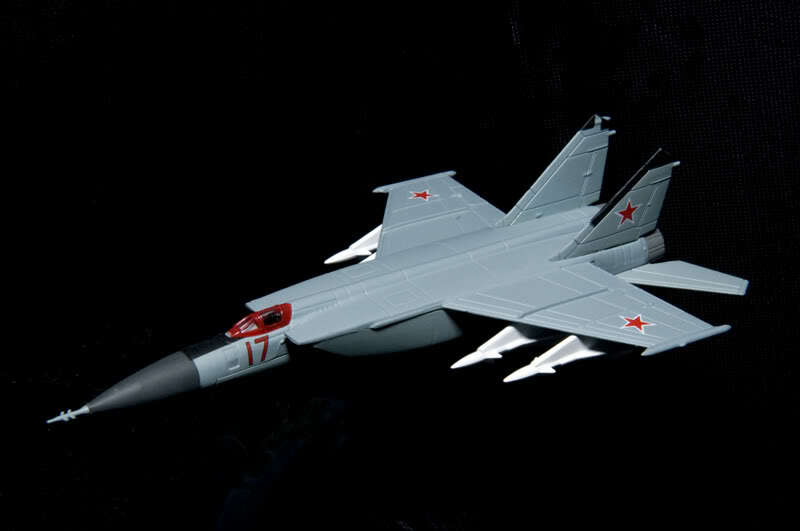 According to research by journalist Tom Cooper, at least 10 MiG-25s may have been shot down by Iranian F-14s (one of them shared with an F-5) during the Iran-Iraq war. Iraqi MiG-25s made their first kill against Iran in February 1983, when an Iraqi MiG-25PD shot down an Iranian C-130. On 21 March 1984, an Iraqi MiG-25PD shot down an Iranian F-4E and on 5 June 1985 an Iraqi MiG-25PD shot down a second Iranian F-4E. On 23 February 1986 an Iraqi MiG-25PD shot down an Iranian EC-130E and on 10 June an RF-4E, later in October 1986, an Iraqi MiG-25PDS shot down a second RF-4E. The most successful Iraqi MiG-25 pilot of the war was Colonel Mohommed "Sky Falcon" Rayyan, who was credited with 10 kills. Eight of these were while flying the MiG-25P from 1981 to 1986. In 1986, after attaining the rank of Colonel, Rayyan was shot down and killed by Iranian F-14s. During the Persian Gulf War, a US Navy F/A-18, piloted by Lt Cdr Scott Speicher, was shot down on the first night of the war by a missile possibly fired by a MiG-25. The kill was reportedly made with a Bisnovat R-40TD missile fired from a MiG-25PDS flown by Lt. Zuhair Dawood of the 84th squadron of the IrAF. In another incident, an Iraqi MiG-25PD, after eluding eight U.S. Air Force F-15s, fired three missiles at General Dynamics EF-111A Raven electronic warfare aircraft, forcing them to abort their mission and leave attacking aircraft without electronic jamming support. 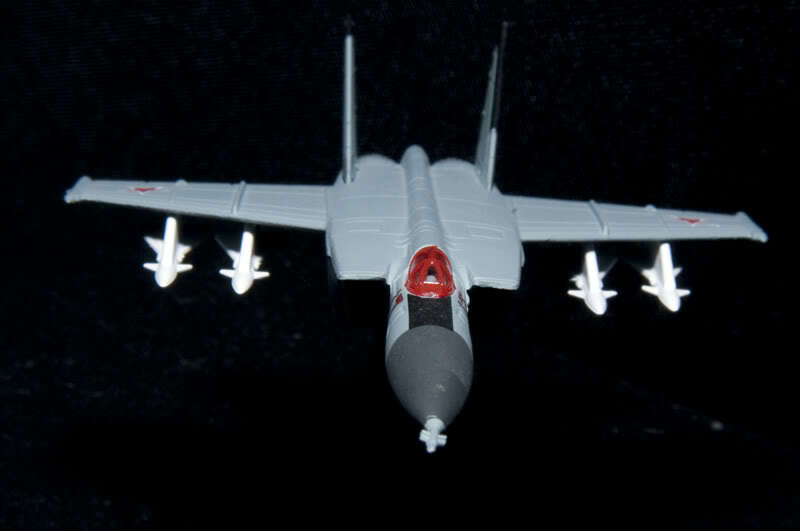 In yet another incident, two MiG-25s approached a pair of F-15s, fired missiles (which were evaded by the F-15s), and then outran the American fighters. Two more F-15s joined the pursuit, and a total of 10 air-to-air missiles were fired at the MiG-25s, although none reached them. According to the same sources, at least one F-111 was also forced to abort its mission by a MiG-25 on the first 24 hours of hostilities, during an air raid over Tikrit. Two MiG-25s were shot down by USAF F-15Cs during the Gulf War, both using AIM-7s. After the war, on 27 December 1992, a U.S. F-16D downed a MiG-25 that violated the no-fly zone in southern Iraq with an AMRAAM missile. It was the first USAF F-16 air to air victory and the first AMRAAM kill. On 23 December 2002, an Iraqi MiG-25 shot down a U.S. Air Force unmanned MQ-1 Predator drone, which was performing armed reconnaissance over Iraq. This was the first time in history that an aircraft and an unmanned drone had engaged in combat. Predators had been armed with AIM-92 Stinger air-to-air missiles, and were being used to "bait" Iraqi fighter aircraft, then run. In this incident, the Predator did not run, but instead fired one of the Stingers, which missed, while the MiG's missile did not. No Iraqi aircraft were deployed in the U.S. invasion of Iraq in 2003, with most Iraqi aircraft being hidden or destroyed on the ground. In August 2003, several dozen Iraqi aircraft were discovered buried in the sand. 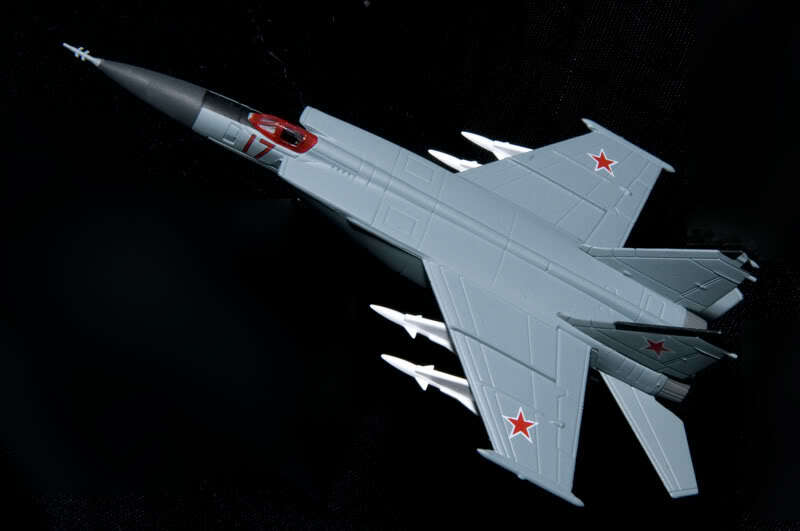 The MiG-25 was kept a guarded secret in India, and was nicknamed Garuda, after the large mythical bird-like creature from Hindu and Buddhist mythology. It was used extensively in the Kargil War and Operation Parakram, conducting aerial reconnaissance sorties of Pakistan. In May 1997, an Indian Air Force Mikoyan MiG-25RB reconnaissance aircraft created a furor when the pilot flew faster than Mach 2 over Pakistani territory following a reconnaissance mission into Pakistan airspace. The MiG-25 broke the sound barrier while flying at an altitude of around 65,000 feet, otherwise the mission would have remained covert, at least to the general public. The Pakistan Government considered the breaking of the sound barrier was deliberate to make the point that the Pakistan Air Force (PAF) had no aircraft in its inventory which can come close to the MiG-25's cruising altitude (up to 74,000 feet). India denied the incident but Pakistan's Foreign Minister, Gohar Ayub Khan, believed that the Foxbat photographed strategic installations near the capital, Islamabad. Lack of spare parts and India's acquiring of unmanned aerial vehicles and satellite imagery eventually led to its retirement in 2006.